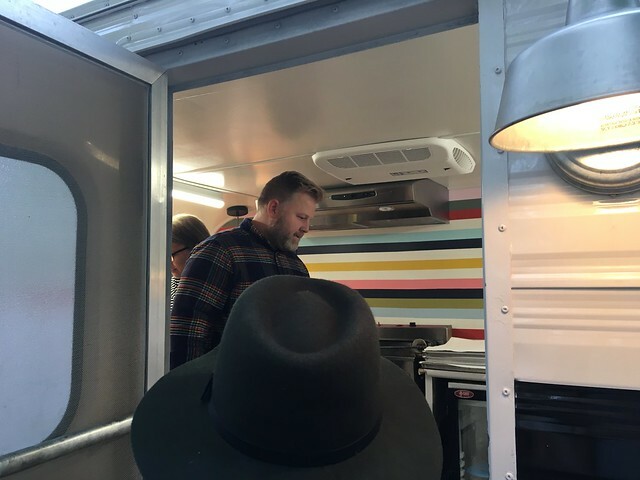 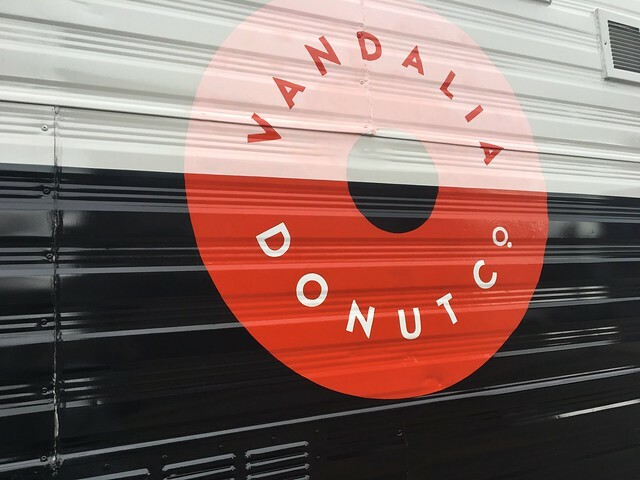 Candace Lately: Charleston Edition: Vandalia Donut Co. 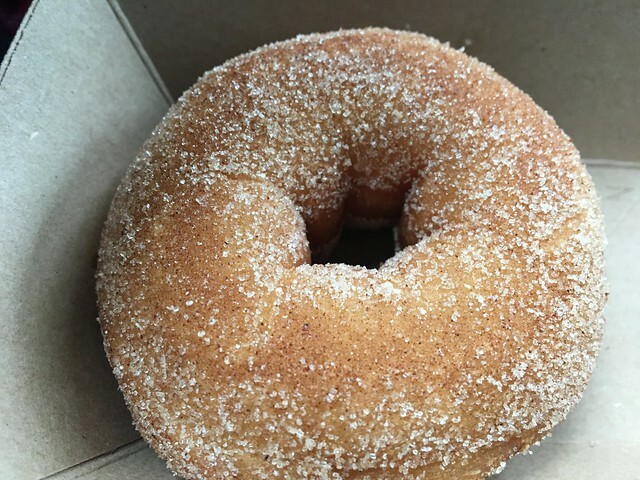 Number 42 - Scratch-made buttermilk donut, made with real, whole ingredients, using local when available. 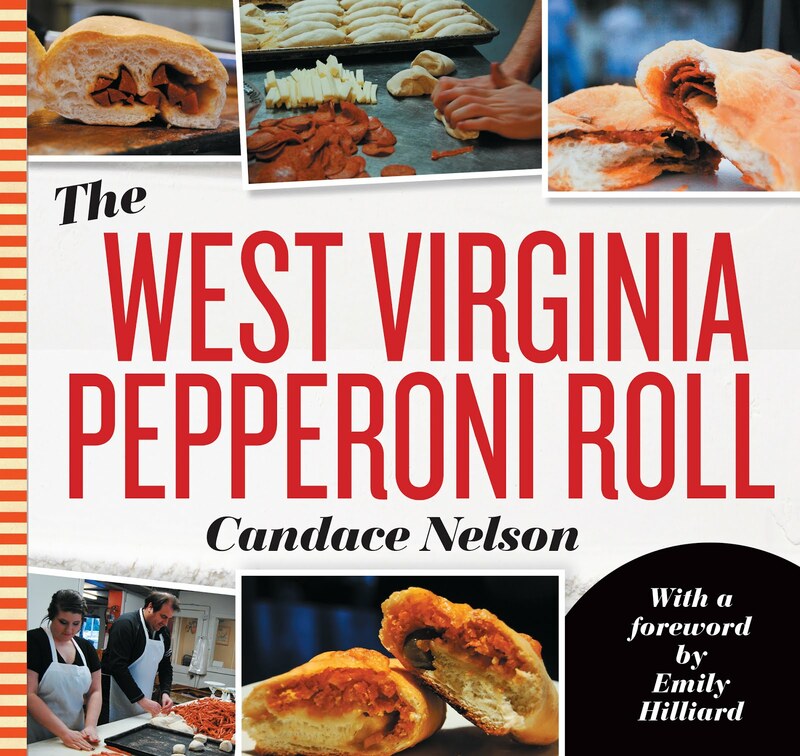 Lightly flavored with cinnamon, nutmeg and vanilla. 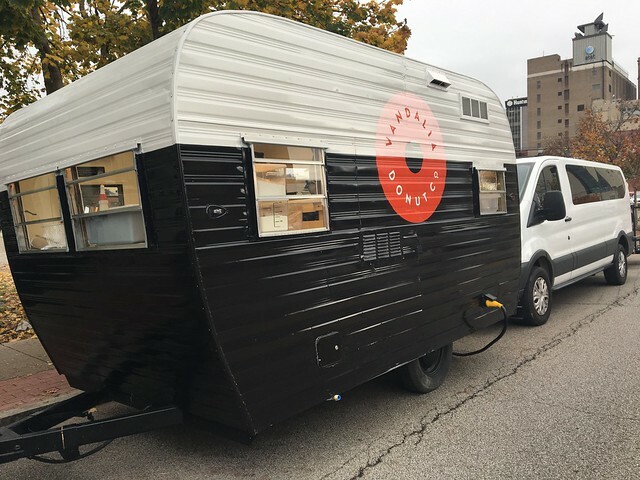 What's the story with the name? 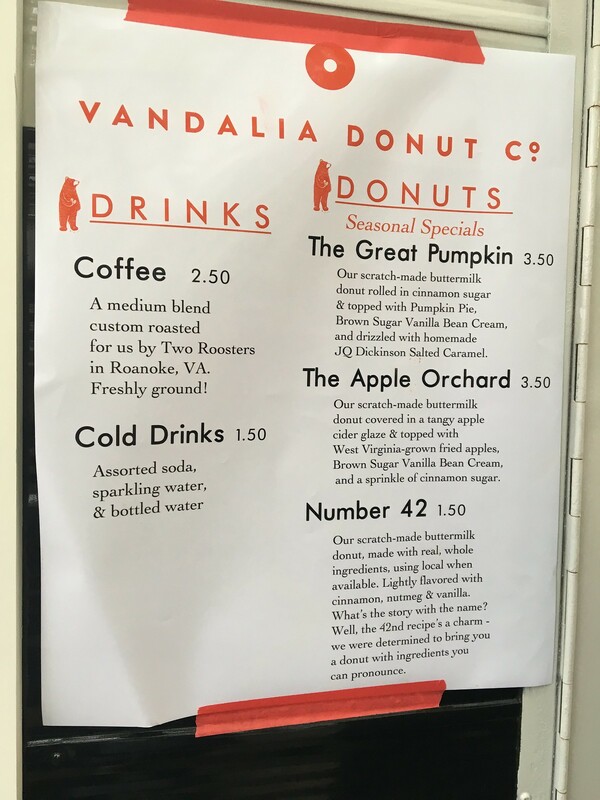 "Well, the 42nd recipe's a charm - we were determined to bring you a donut with ingredients you can pronounce." 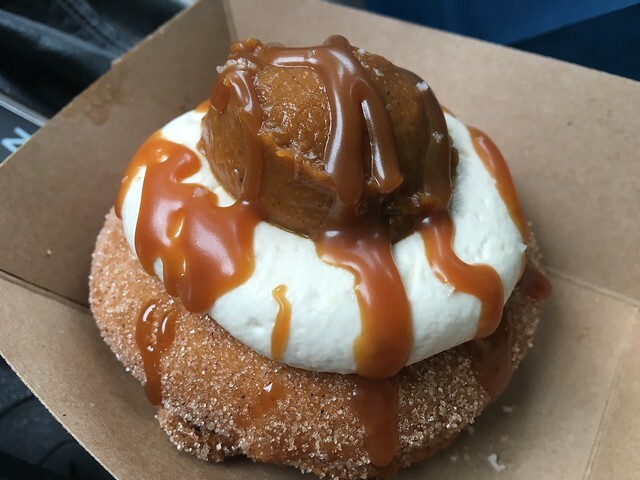 The Great Pumpkin - The scratch-made Number 42 buttermilk donut rolled in cinnamon sugar and topped with pumpkin pie, brown sugar vanilla bean cream, and drizzled with homemade JQ Dickinson salted caramel. 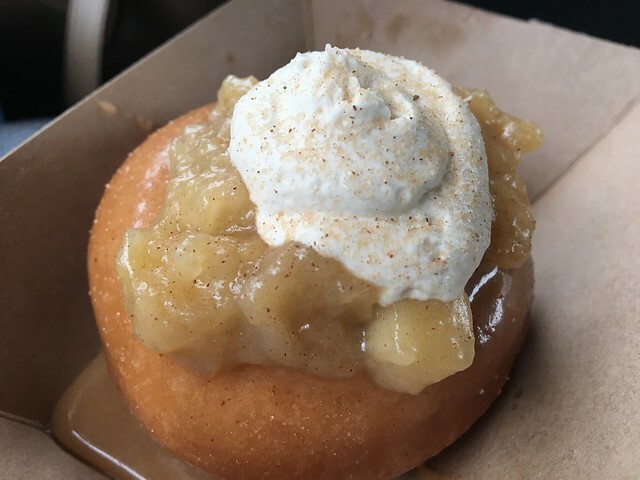 The Apple Orchard - The scratch-made Number 42 buttermilk donut covered i na tangy apple cider glaze and topped with West Virginia-grown fried apples, brown sugar vanilla bean cream, and a sprinkle of cinnamon sugar.